Join like minded parents (and grandparents) this Sunday afternoon at Cottonwood as we ask why God allows so much evil and suffering. The critic will say, “Either God isn’t all powerful and can’t relieve suffering, … or God isn’t all loving and doestn’t care enough to intervene.” How should we respond when we hear that kind of criticism? Welcome to Cottonwood Creek’s G.A.P. class. Click Here or anywhere on this picture to sign in or to request more information. Because today’s anti-Christian culture is attacking our kids as never before. G.A.P. is doing something about it. You can equip your kids for the spiritual battles they face today and tomorrow. Are we doing enough to prepare our kids for today’s vicious attacks o.n Christianity? The good news is that there are more ways to equip ourselves and our kids to withstand today’s version of spiritual warfare, more resources and opportunities, than ever before. Right here in North Texas, we have some great new opportunities to put on the full armor of God. Here are just a couple. 2. ReTHINK Student Conference, March 29 & 30, also at Cottonwood Creek Church, Allen. And there is much more. To be sure you don’t miss upcoming events like these, click here or on the picture below to subscribe to chapter news. Students and parents, you do not want to miss this great event. Friday evening, March 29, and Saturday, March 30. Great music and a world class lineup of speakers who know how to reach today’s young Christians. Click here to go to Cottonwood’s information page for ReTHINK. Do Christians hate my gay friends? Join us this Sunday afternoon as we tackle what is perhaps today’s most contentious issue. Christians are attacked and ridiculed for being “radical”, hateful, intolerant, homophobic, transphobic, bigoted and hypocritical. 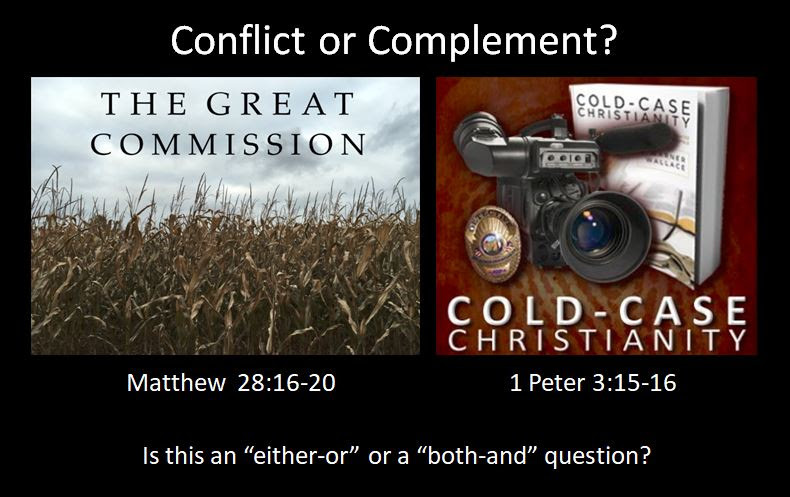 What is the true Biblical view on this issue and how should we respond when questioned or criticized? Join us as we consider the core issues and then develop a practical strategy for handling questions from our kids as well as ridicule in the public square. We will consider multiple points of view, but the ultimate question is: WWJD? 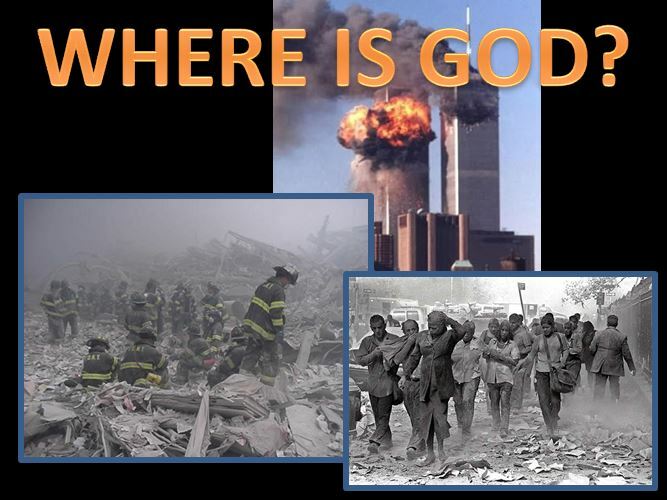 Week four topic – How can we respond when someone questions God — or even the existence of God — because of all the evil and suffering in the world. This is our second week on this seemingly difficult question/objection. Please download our class notes file to review the material we’ve covered in the first three weeks. CLICK HERE to go directly to that page. Is the Great Commission in harmony or in conflict with the command to always be prepared to share the reasons for your faith? We are blessed to have a most qualified speaker who will explore the question of the role of Christian apologetics in today’s culture. Toby Oaks is campus administrator, upper school director, and teacher of numerous classes including 6th grade Latin/Grammar, 8th grade History, 10th grade Theology and 12th grade Apologetics. “Toby has been involved with training up wise thinkers and ethical servant leaders for over 25 years. Coming to faith in Christ as a college freshman at University of Texas at San Antonio, he began serving in campus ministry as a student. After graduation with a bachelor’s degree in English, Toby and his wife, Sonia, worked in campus ministries at New Mexico State University and then the University of Seville in Spain. Returning from overseas in 2007, he pursued and later completed a Master of Theology degree at Dallas Theological Seminary while working part time in an operations role with Coram Deo Academy. At CDA, he has taught numerous classes including 6th grade Latin/Grammar, 8th grade History, 10th grade Theology and 12th grade Apologetics. In 2010, he assumed the role of Director of the CDA-Collin County High School and since 2015 the Campus Administrator and currently also the CC Logic/HS Director. He sees his service at CDA as part of his commitment to a lifelong vocational ministry of leveraging his gifts to help free up, empower and prepare others for God’s purposes. Cottonwood is on the south side of 121, just east of Stacy. What’s the best way to respond when non-believers question or criticize Christianity? How can we prepare our kids for the attacks of the “new atheists”? Why is equipping more important than teaching? Why is this vitally important to discipleship and the Great Commission? Join us as we equip ourselves with the skills and knowledge needed to respond effectively when our faith is questioned. Classes will employ short video clips and interactive discussion time. Lecture, per se, will be minimal. This class is offered because Christianity is the best explanation for the way the world is, and is the world view for which there is the greatest evidence. We all have doubts at times, but evidence defeats doubt and the evidence is on our side. Please share this message with friends and family. This is the front line of spiritual warfare. This is a free class. There are no required books or materials. Would you bet your life on the predictions of Your Congressman? Nostradamus? Jean Dixon? Political Polls? Isaiah? Why is it vitally important to understand that God authenticates the Bible by writing history in advance? As we examine the truth claims of the Christian world view, we often overlook the powerful evidence of the old testament predictions of new testament events. Join us next Thursday evening as we consider the importance of this category of evidence.Steve Lee has nearly twenty years experience teaching theology and philosophy at the high school and collegiate level. Holding a Masters degree in Philosophy of Religion and pursuing a doctorate in philosophy Steve has trained thousands of students in understanding the truth claims of Christianity. 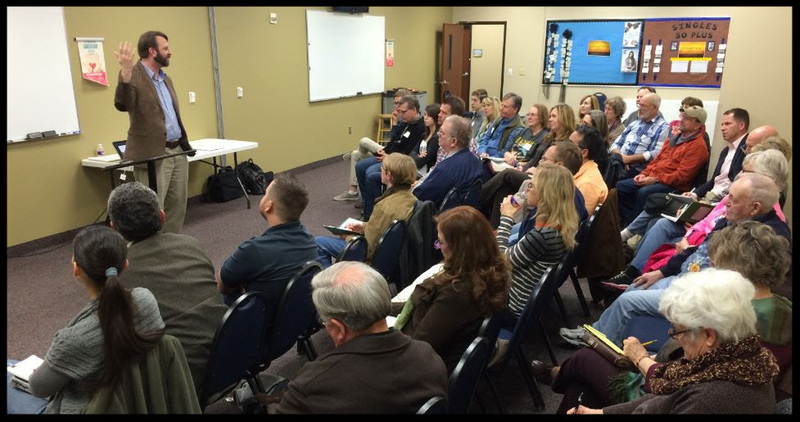 As one of the DFW area’s most influential apologetics leaders, he is much in demand as a speaker and we sincerely appreciate his willingness to speak to our chapter. As your reward for reading all the way to the end of this post: To be eligible to win a free book, you will have to know the secret password, “Isaiah 53”. “Truth Talks” class for parents. (Students, grandparents and others are always welcome also.) This seven week class will meet from 4:00 until 5:30, each Sunday for seven weeks. This is intentionally the same timing as AWANA. The class will begin Sunday, September 23 and the last class will be Sunday, November 4. The purpose of this series is to help equip parents to intentionally prepare their kids for the tsunami of anti-Christian propaganda that floods our culture 24/7. How can we and should we respond when a professor or fellow student or blogger or meme questions, criticizes or ridicules Christianity? Christianity is the world view for which there is the greatest evidence—evidence beyond a reasonable doubt. But, today’s culture seems to be attacking Christianity from every direction. And when you only hear the anti-Christian point of view 95% of the time, or more, the arguments can create some serious questions—sometimes even a crisis of doubt. Those are all good answers. But when the enemy attacks, in force, as in the “God’s Not Dead” movies, we are commanded to be always ready to defend our faith with evidence and with love and grace. That is easier said than done. As the Christian community has arisen to meet this challenge, there are now more resources, classes, and support groups than most people can imagine. Cottonwood’s “Truth Talks” events are dedicated to providing the knowledge and skills we all need to defend our faith in today’s world. There is no cost or required book for this class.